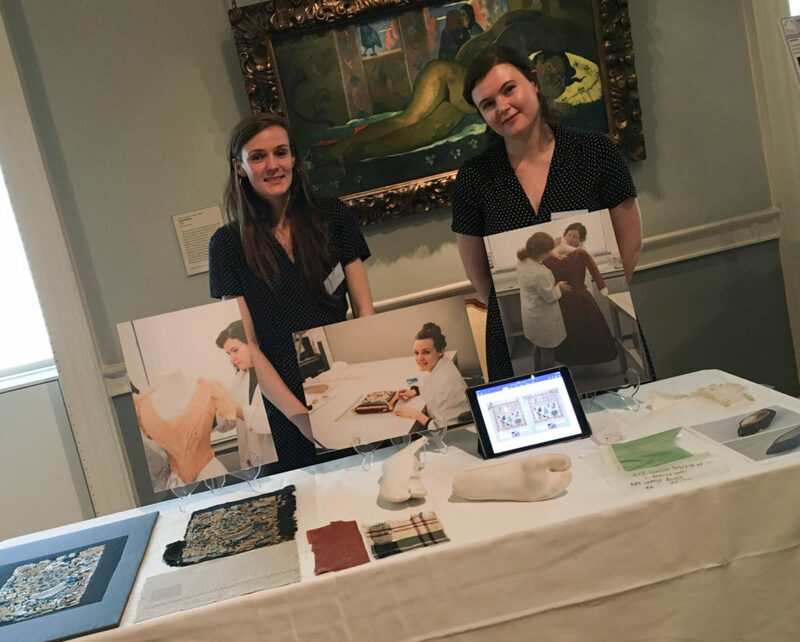 Students from the MPhil Textile Conservation programme recently attended a reception at the Courtauld Gallery in London to mark the 20th anniversary of the founding of the Anna Plowden Trust. 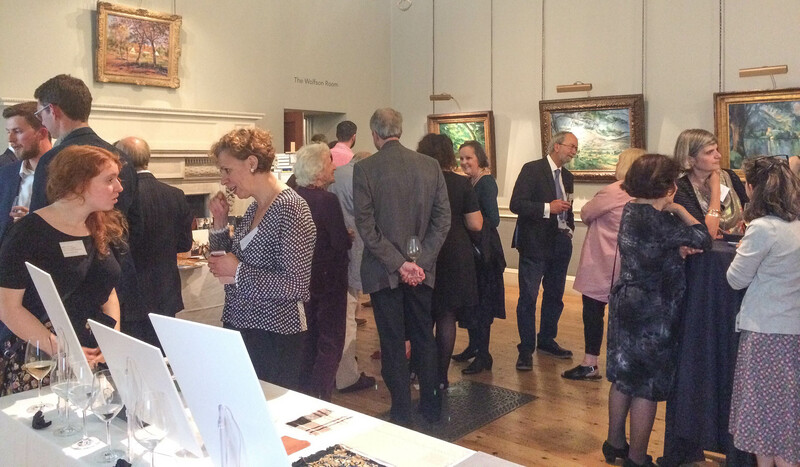 The Trust was set up in 1998 in memory of Anna Plowden, a pioneering conservator in the private sector. 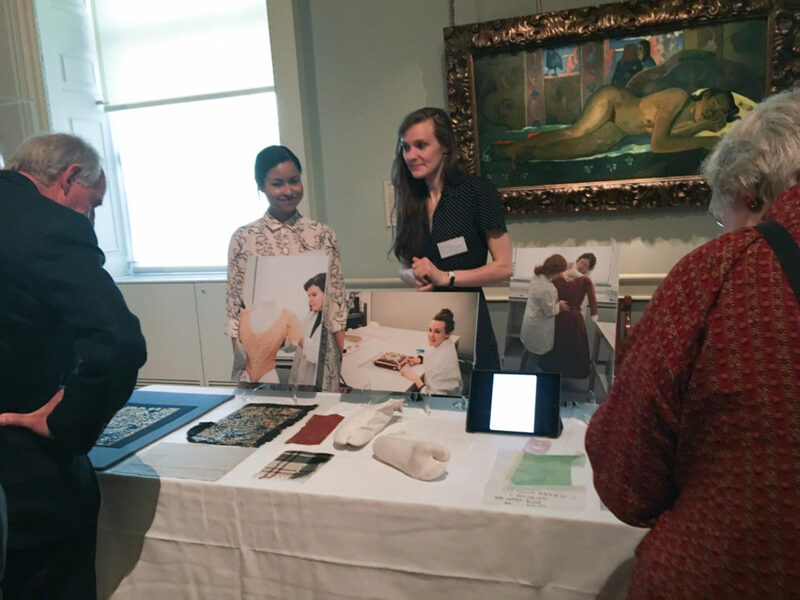 Textile conservators have benefited enormously from the Trust’s funding, particularly the Scholarships which provide vital support for conservation training and have funded significant numbers of our students over the two decades. 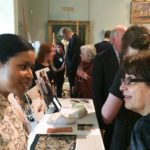 Many of our staff and graduates have also found the Anna Plowden/Clothworkers’ Foundation CPD grants invaluable for supporting their professional development – museum and academic budgets often cannot fund trips to conferences and workshops which play an important role in helping conservators develop their knowledge and skills in a fast-developing sector. 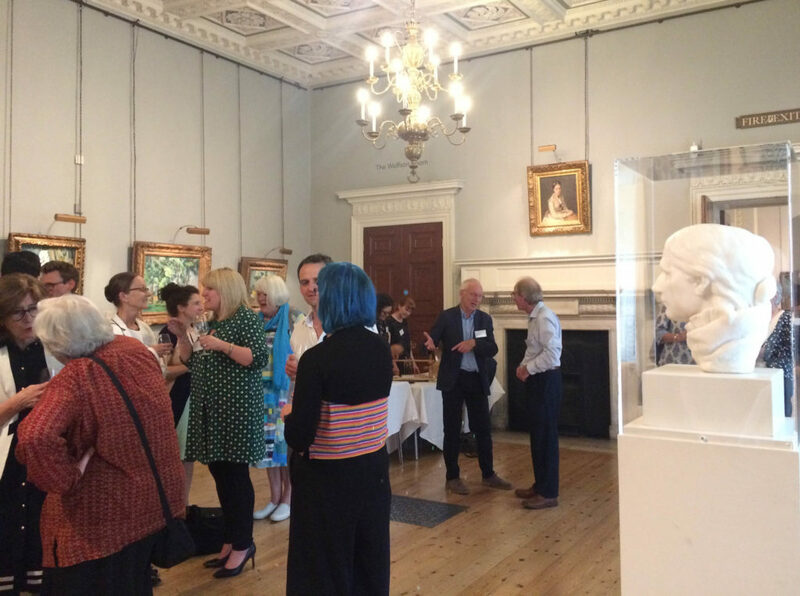 The Trust’s 20th anniversary reception at the Courtauld Institute of Art provided a great opportunity for our students who are Plowden Scholars to show some of their work, alongside students from other conservation programmes, and for us all to meet trustees, colleagues and friends. Rebecca Doonan talking to one of the guests. Photo by Daisy Graham. 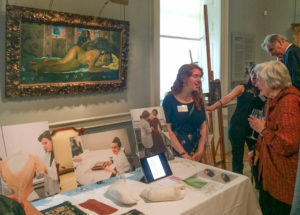 The event was also the occasion of the launch of a series of short films illustrating the work of the Trust: https://www.annaplowdentrust.org.uk/films. Sarah Foskett, Lecturer in Textile Conservation, and our textile conservation students can be seen in the introductory film, after the film producer, Melanie Malherbe of MM Digital Video Productions, battled through the snow to Scotland earlier in the year. The series demonstrates very clearly just how important the Anna Plowden Trust funding is to the sector. The films also highlight the strength of UK conservation training – I was struck by comments made by Sarah Staniforth, the President of the International Institute for Conservation, “one of our strongest professional exports is in the conservation world” – which illustrate that the impact of the Anna Plowden Trust’s funding is international and not restricted to the UK.